Joining the Boutty Law Firm in 2016, Mr. Tabor practices in the areas of Construction, Business, Real Estate, Estate Planning and Probate, and matters involving The Florida Department of Business and Professional Regulation (DBPR). As a former Engineer, Mr. Tabor drew upon his engineering and construction roots when he joined the Boutty Law Firm to practice Construction Law and litigation. Mr. Tabor also practices in Circuit Court mediation. Mr. Tabor earned his Juris Doctorate degree from Dwayne O. Andreas School of Law at Barry University in 2012. During his time in school, Mr. Tabor interned with the Orange County Attorney’s office learning skills in government and land use development. 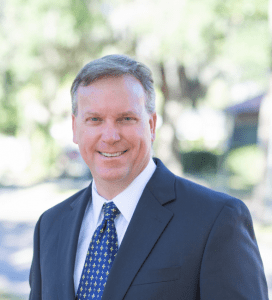 Mr. Tabor also gained valuable litigation experience as a prosecutor representing the People of the State of Florida in criminal cases involving misdemeanors, felonies and juvenile criminal matters. Prior to the practice of law, Mr. Tabor earned his BS from the University of Central Florida, College of Engineering in 1995. From 1995 until 2003 Mr. Tabor was a Mechanical Piping Engineer in industrial piping for pulp and paper, chemical, and power generation industries throughout the United States and the Caribbean. In 2004, Mr. Tabor moved into the construction industry where he gained experience as an Estimating Engineer, Project Manager, and VP of Operations in commercial and waste water projects. Mr. Tabor is an active member of the Winter Park Rotary Club and formally active with Habitat for Humanity of Greater Orlando, the National Park Service, and the Winter Park Code Enforcement Board.